A city man sought by police for allegedly dealing drugs on East 31st Street was apprehended on Tuesday after his mother turned him over, according to Passaic County Sheriff Richard Berdnik. Marquis L. Wedderburn, 22, of Paterson, has been charged with six drug offenses. He is also charged with resisting arrest by flight. Police were conducted a surveillance operation on East 31st Street and 14th Avenue when Wedderburn arrived in a black Kia sedan. He parked the car on idle at the dead end of East 31st Street and got out of the vehicle to walk to the corner of 14th Avenue. Wedderburn approached a beige car and had trouble opening the front passenger side door. He fumbled with keys and dropped a bundle of heroin to the ground. Detectives immediately tried to arrest him, but he fled on foot towards a backyard on 14th Avenue. As detectives gave chase, Wedderburn discarded 450 glassine envelopes of heroin in bricks, drugs valued at $3,200 on the street. Detectives conducted a brief investigation and determined Wedderburn lived at 405 15th Avenue. Detectives and uniformed officers visited the house. Orret T. Mcbean, 27, of Paterson, met them at the house. He was informed of the investigation and asked if Wedderburn was inside. Mcbean began to aggressively gesture at the officers and shouted multiple times Wedderburn was not at the residence. He then began to hurl a litany of expletives at the officers. Moments later, Wedderburn’s mother exited the residence and told the officers her son is inside. Detectives were escorted inside. Wedderburn was placed under arrest in the living room. 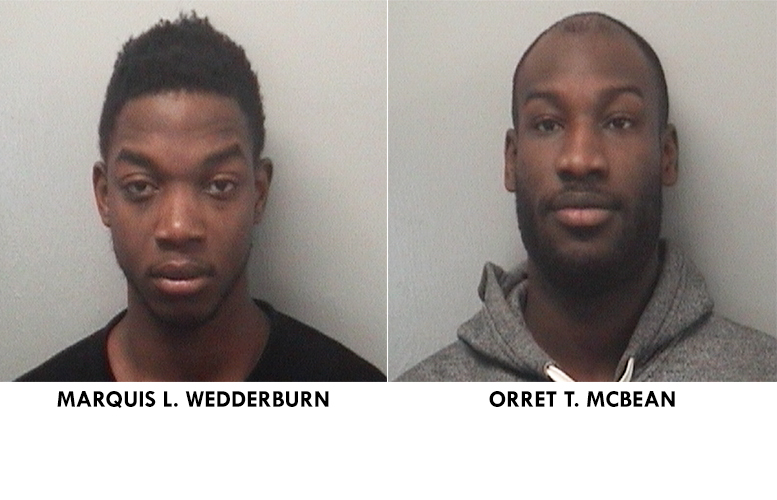 McBean was arrested and charged with hindering apprehension and harboring Wedderburn. He was later released. Wedderburn is being held at the Passaic County Jail. Good job mom. If your son's J overdosed (very likely) he'd be looking at manslaughter instead of a CDS charge. So proud of you. I don’t know you but I know you raise this young man better. I would do the same thing never protect for doing wrong.